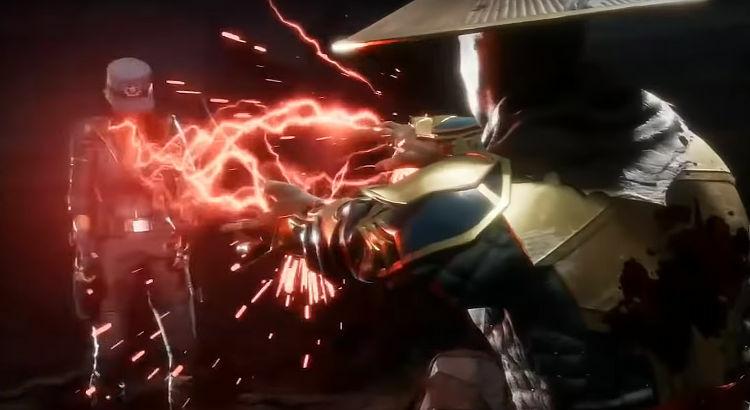 Every character in Mortal Kombat 11 has two Fatality moves that can be used to conclude a match with a cinematically gruesome finishing move. In this guide you'll learn how to unlock and perform ALL of the games fatalities for each of the characters. Anyone who has ever played Mortal Kombat will know exactly what Fatalities are all about. Dating back to the very roots of the series, these secret finishing moves were perfect for rubbing salt into your enemies wounds at the end of a victory. Finishing moves were enough to make Mortal Kombat one of the most violent video games of the nineties. Whether it was Kano's heart ripping move, Scorpions fire breathing or Liu Kang's awesome dragon eating move, they have been (and probably always will be) an essential part of Mortal Kombat. Just like in MKX, every character in MK11 has one Fatality unlocked by default and a second secret Fatality that's unlocked by either buying the move (with in-game Koins in the Krypt) or by knowing and performing the move during a match. By using the list below, you'll be able to perform each of the moves for each of the characters and automatically unlock the second move for free. Remember, Fatalities are finishing moves so they must be used at the end of a match by the winning player. Simply wait for the prompt that says "Finish him/her" and enter the move as described below. Each move has a valid range - make sure you're within the distance noted below to perform the move correctly. Some require you to be close to the opponent whilst others require a half screen of space. The list below shows the controller button sequences for both PS4 and Xbox. The Nintendo Switch controller is the opposite of Xbox - the buttons are swapped e.g. Y (on Xbox) is X on Switch, A (on Xbox) is B on Switch. If you're using a PC controller, it's likely that you're using the Microsoft Xbox standard so follow the Xbox sequence. 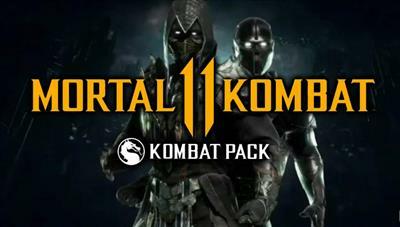 MK11 is currently awaiting release. The list below will be updated with new Fatalities once the characters are announced and the moves are discovered. The face pulling Fatality that ends with Baraka taking a meaty chomp out of the opponent. PS4: Back, Down, Back, Triangle (Close Range). XBox: Back, Down, Back, Y (Close Range). PS4: Back, Forward, Back, X (Close Range). XBox: Back, Down, Back, A (Close Range). Using his time shifting abilities Geras unleashes blows from the back and front, ending with a nasty blow to the back of the head. PS4: Back, Down, Down, X (mid-range). Xbox: Back, Down, Down, A (mid-range). A finishing move that makes good use of his red lightning and staff. PS4: Back, Down, Back, Square (mid-range). Xbox: Back, Down, Back, X (mid-range). The rotating slice move that ends with a roundhouse and spear catch. PS4: Back, Down, Down, Square (mid-range). Xbox: Back, Down, Down, X (mid-range). Scorpion uses his fiery harpoon chain to slice his opponent. PS4: Down, Forward, Back, Triangle (mid-range). Xbox: Down, Forward, Back, Y (mid-range). Skarlet uses her special abilities to extract fluids out of the opponent before sending spikes back down from above. PS4: Forward, Back, Down, X (mid-range). Xbox: Forward, Back, Down, A (mid-range). As the name implies, Skarlet targets the heart with this awesome finishing move. PS4: Down, Down, Forward, Circle (mid-range). Xbox: Down, Down, Forward, B (mid-range). Sonya summons an attack chopper to literally chop up the opponent. PS4: Down, Forward, Back, Triangle. Xbox: Down, Forward, Back, Y.
Sub Zero makes good use of his frozen axe in this move. PS4: Forward, Back, Forward, Triangle (mid-range). Xbox: Forward, Back, Forward, Y (mid-range). Using a frozen double, Sub Zero unleashes a devastating end to the match that words struggle to describe. PS4: Back, Down, Back, Circle (mid-range). Xbox: Back, Down, Back, B (mid-range). Kano grapples his opponent to the ground before headbutting them several times until the head pops off. PS4: Back, Down, Forward, Y (close). Cassie launches a shadow kick into the opponents chest, kicking out their heat. She then poses for the camera, making a heart shape with her hands through the opponents empty chest cavity. PS4: Down, Down, Forward, B (close). Cassie launches a small combo before knocking the opponent to the ground. Her drone then comes crashing down from above, splitting the opponent into half. The drone concludes the finisher by aiming it's turret and blasting a hole in the opponents head. Lovely stuff. Probably one of the best fatalities in recent memory. Johnny performs his classic uppercut finisher but this time it requires several "retakes" to get the perfect movie star angle. PS4: Forward, down, forward, X.
Kotal summons a pedestal from the ground before kicking the opponent into the side of it. Kotal follows up by kicking the opponents head before summoning a giant skull to crush from above. Noob uses his razor sharp scythe to slice open the opponents body before injecting them with the soul of his counterpart. The clone emerges from within the opponent, ripping them to pieces. Reminiscent of Bruce Lee's "one inch punch", Liu Kang starts this fatality by rapidly punching his opponents body before finishing off with a super punch that causes the opponent to explode. Using his trademark hat, Kung Lao slices the opponent before teleporting and performing a "hat trick" to slice the opponents head as it flies through their body. Jax implants an explosive device on the opponents back before pushing them away. The device explodes, propelling the opponent towards Jax who splits them in half with his glowing red arms. Cetrion first summons a collection of rocks to trap the opponent before kicking their head. She then fires a huge blast of energy down from outer space which disintegrates the opponent. Using his many arms, the Kollector leaps on the downed opponent before tearing them to shreds. His final blow is to strike the opponent with their own head. Erron starts by throwing one of his acid trap bottles on to the floor, forming a pool of acid in front of the opponent. He then uses a pistol shot to put the opponents face inches from the acid before finally pushing their head into the acid.